CW3E’s Anna Wilson recently attended the Kansas Governor’s Conference on the Future of Water in Kansas, held in Manhattan, Kansas on November 13-14, 2018. The annual conference is meant to bring together scientists, water managers, state and federal officials and legislators, city and county administrators, environmental organizations, irrigators, and citizens who share an interest in Kansas water resources. Based on a visit to the US Army Corps of Engineers Engineer Research and Development Center (ERDC) in Vicksburg, MS from a delegation from the Kansas Water Office and Corps of Engineers Kansas City District, Steve Turnbull from ERDC was invited, along with Dr. Wilson from CW3E and Chris Delaney from Sonoma Water, to be on a panel describing the Forecast Informed Reservoir Operations (FIRO) project. Panel presentations covered FIRO’s purpose and background; data collection and monitoring and modeling efforts in support of FIRO; and an update on current results and status of FIRO at Lake Mendocino, including the major deviation approval for WY2019. Cara Hendricks from the Kansas Water Office served as panel moderator. Transferability potential was discussed in the context of extreme event predictability and the framework developed by the FIRO Steering Committee to assess viability. 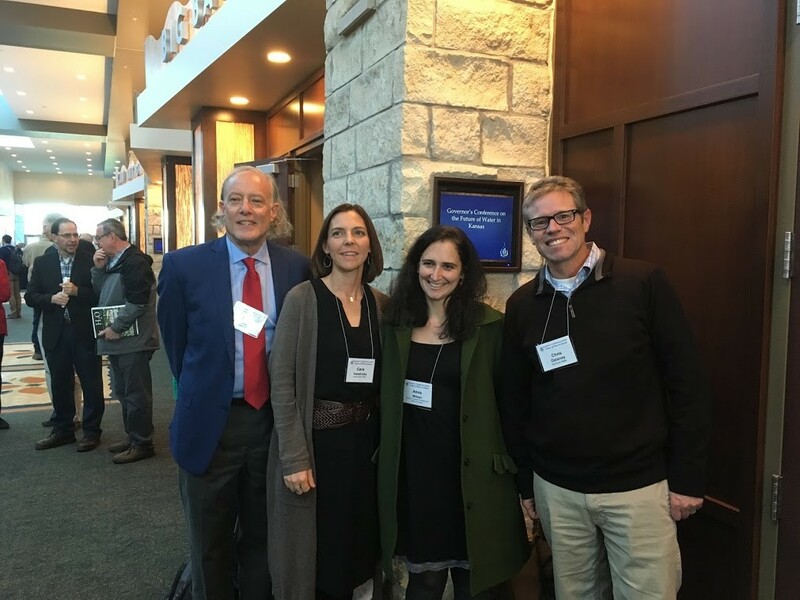 From left, Steve Turnbull (ERDC), Cara Hendricks (Kansas Water Office), Anna Wilson (CW3E), and Chris Delaney (Sonoma Water) outside the panel conference room at the Governor’s Conference on the Future of Water in Kansas.